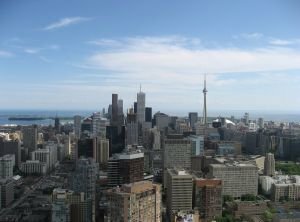 The Toronto Real Estate Board announced that the average selling price for condos and lofts were up by 9% year-over-year to $533,447 in the first quarter of 2018. While the number of Toronto condo and loft sales reported in the first quarter was down by 29.7% year-over-year to 5,084, so too were the number of new listings, which were down by 11.1% annually to 8,030. Seller’s market conditions for condos and lofts remained firmly in place in the first quarter of 2018. Strong competition between buyers underpinned price growth well above the rate of inflation. The Toronto Real Estate Board expects the condo market segment to remain strong through the remainder of 2018 and over the longer term, as buyers continue to see housing ownership as a quality long-term investment. Inventory levels for Toronto condos and lofts in the first quarter of 2018 were above the record lows experienced during the first three months of 2017. However, with months of inventory continuing to trend between 1.5 and 2.0 months, market conditions remain very tight from a historic perspective. The condo and loft market segment continues to have the lowest price point on average compared to other major low-rise home types. It stands to reason that condos remain popular with first-time buyers. Strong demand relative to supply will see this segment perform well from a pricing standpoint for the remainder of 2018 and beyond.